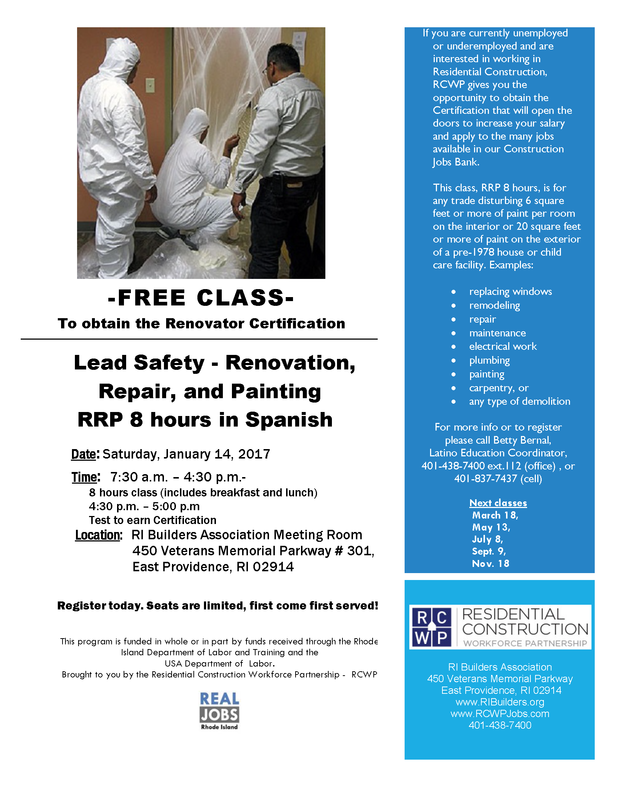 This course is required to obtain a Lead Safe Remodelers/Renovator license which is necessary for work in all pre-1978 buildings in Rhode Island. This course covers RRP requirements in Rhode Island and Massachusetts as well as the EPA. A written exam is given at the end of the course and a passing grade allows attendees to apply for licensing through the Rhode Island Department of Health and the EPA.